Comhghairdeachas le gach duine a bhuaigh duais an tseachtain seo!! Congratulations to everyone who won a prize this week. Bhí an siopa Gaeilge againn inniu agus bhí am den scoth ag gach duine. Go raibh míle maith agaibh as na goodies go léir! Our Siopa Gaeilge was on today and we all had the most wonderful time. Thank you so much for sending in your contributions. The effort and work that you put in to everything that you sent in guaranteed that our annual Cake Sale was a huge success. Thank you!!!! More jigs and reels from Ms. Waters’, Ms. Daly’s and Ms. Feehan’s classes. Looks like everyone had a wonderful time!! Maith sibh gach duine!! Féach ar na nathaireacha nimhe iontach seo ó rang a 4. Rinne na daltaí obair den scoth. Maith sibh cailíní. Ms. Waters’ students have been having another marvellous few weeks. Planting seeds and winning best attendance! Well done everyone. Is that pizza I spy on the table?????!!!! 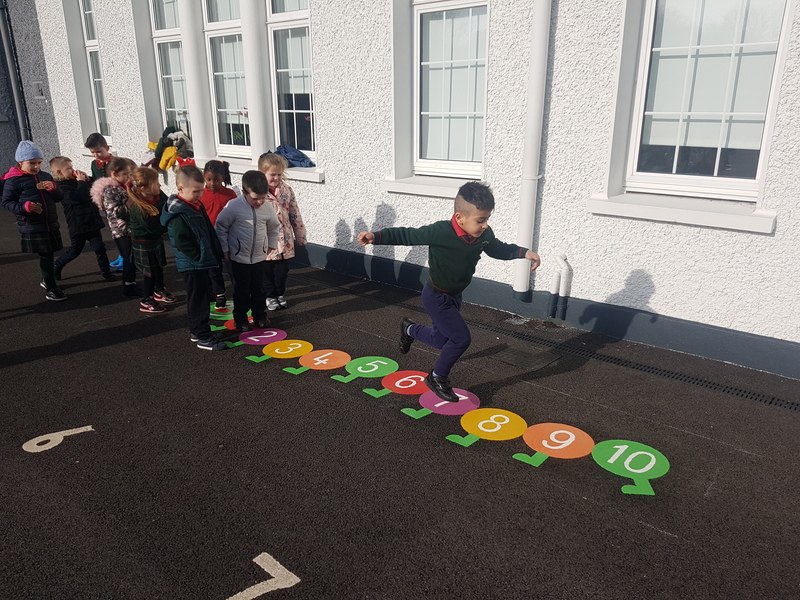 Ms Murray’s class have had a busy few weeks learning about spring, taking walks between the showers and celebrating Seachtain na Gaeilge. Maith sibh!! Rang a hAon ag damhsa! Bhain rang Ms. Delaney taitneamh as an damhsa le rang a 5. Seachtain na Gaeilge abú!!! The girls of rang a 5 showed off their dancing talent at their céilí today. Well done girls. Lá iontach SNAG eile a bhí againn!! Céilí dancing and the zoo in Ms. Conroy’s Aistear. It’s all happening in Senior Infants!